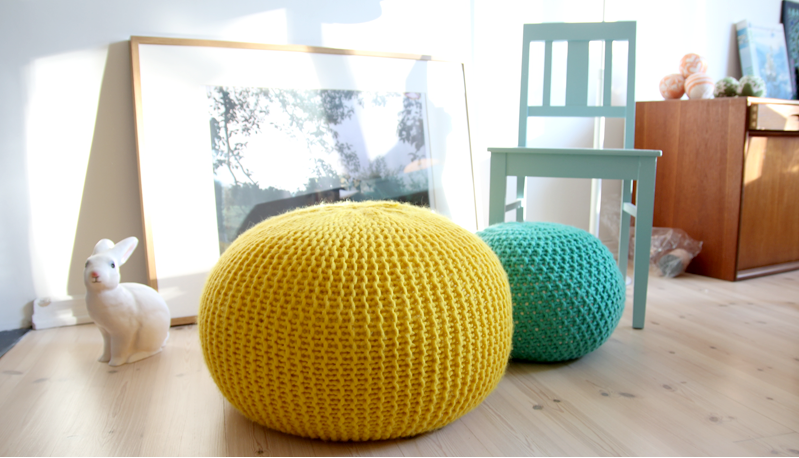 I have to admit, this is a tutorial on how to make a pouf from Pickles and not my own, but I love it. Pickles has a very good pattern and if I find the time I really want to make this. It’s not diffucult and the pictures will also show you how it works. You use knitting needles 18mm, I made my own, because I wanted them longer. Cast on 22 stiches with two threads of Zpagetti yarn, if you have any other thread which is thick enough, feel free to use it. 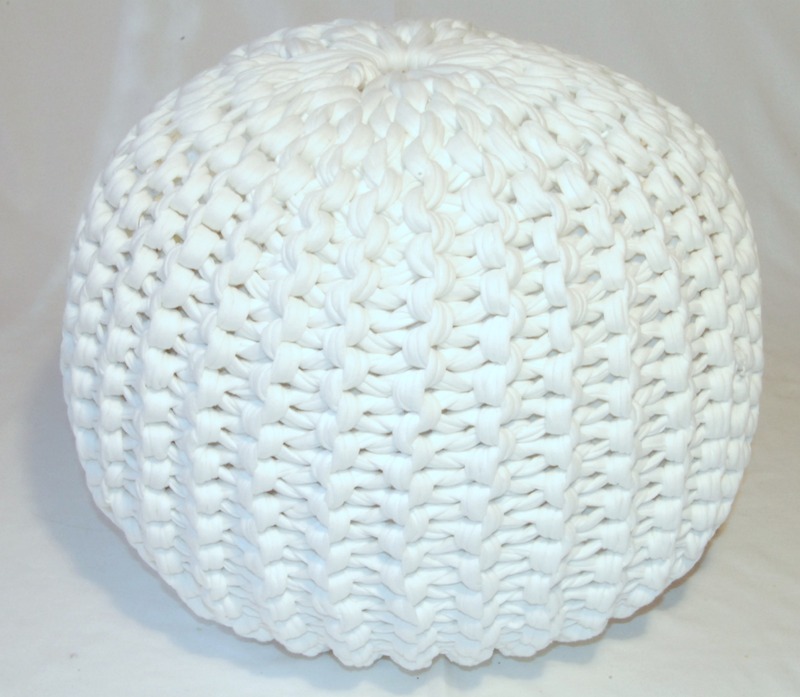 So if you want to make a bigger pouf cast on more stiches and make your work longer! Than work a thread through the long side of your work, but skip each time one row. In the pictures it is shown with a purple thread. when you did this all the way, you pull the thread very hard, so your work wil close! 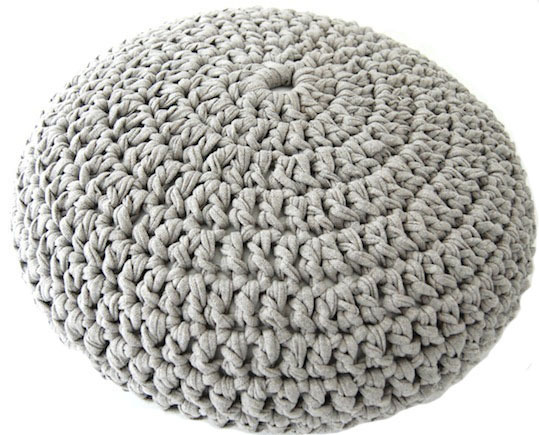 Then make a inside cover out of strech material, wich is a little bit bigger than the knitted piece! Put the inside cover in the knitted piece and fill it firmly, with whatever you like, I filled it with feathers. Close the top of the inside cover firmly. Then close the top the same way as you closed the bottom, so skip each time 1 row and pull and close firmly! 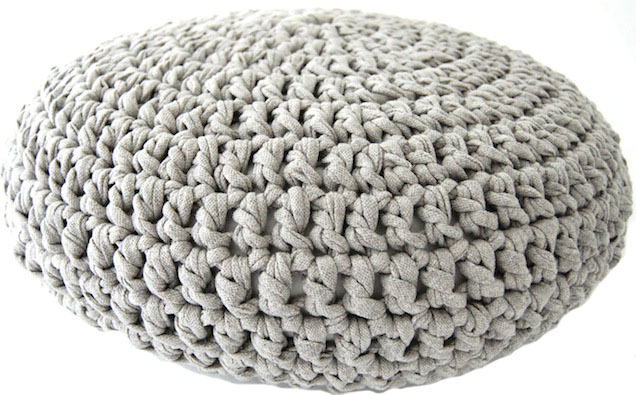 And there it is, your own beautiful POUF, made by you!!! !